The bag and shoes go perfect with the dress! Barbie but better, I'll take that! You forgot to mention the creepy smoking man in the doorway, and the many onlookers. 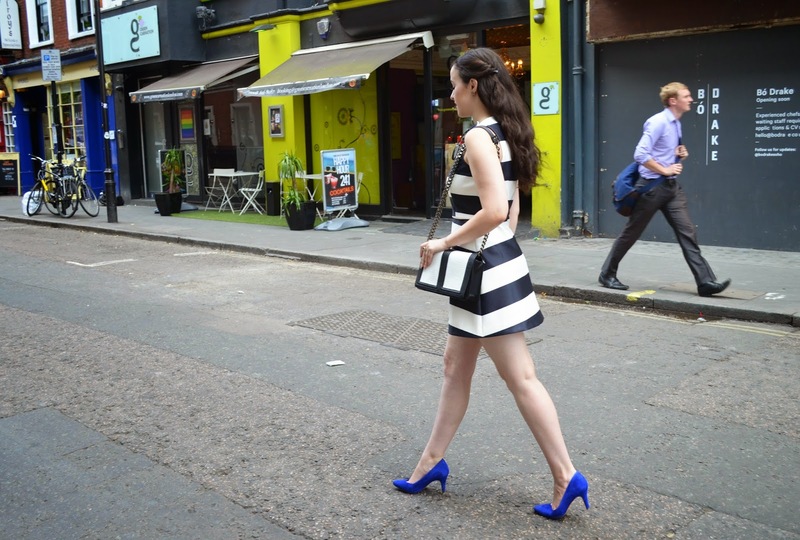 love the bag and dress together and the blue heels break up the monochrome palette nicely! hehe well done for doing the ALS ice bucket challenge in your outfit! This outfit is beautiful, I love that dress! I love that you did your ice bucket challenge in this dress. Too fabulous for words. You look gorgeous. Still in love with those sunglasses! Such a gorgeous dress, love the structure of it!